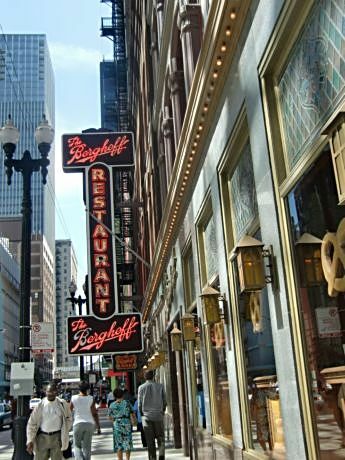 Berghoff's on Adams Street, well placed for architecture walks, is among Chicago's oldest, family-owned restaurants. If you are doing the art and architecture walks or shopping, you need some suggestions on where to revive or take a break. If going to the theater, you’ll want to know a good place to eat within walking distance. We could say luckily for tourists, commuters and residents Chicago is a foodie town so there are several options. But luck has nothing to do with it. Once known for its steaks (after all the stockyards were here), expense-account, three-martini lunches, Sunday family dinners and neighborhood German, Italian, Greek and Chinese eateries, the city’s dining options began to expand about 1986-87 when James Beard award-winning chefs J Joho (The Everest Room), Charles Trotter (Charlie Trotter’s) and Rick Bayless (Frontera Grill/ Topolobampo and their restaurants became house-hold names among people looking for exceptional dining-out experiences. Ironically, as experimental dish combinations took hold among chefs opening their own places, steaks and ethnic eateries came back in style. Of course, some old-time Chicago favorites such as Gene and Georgetti’s for steaks in River North (north of the Chicago River, west of Michigan Avenue) and Berghoff’s for German food in the financial district (on Adams Street near LaSalle Street) made it through the fads. 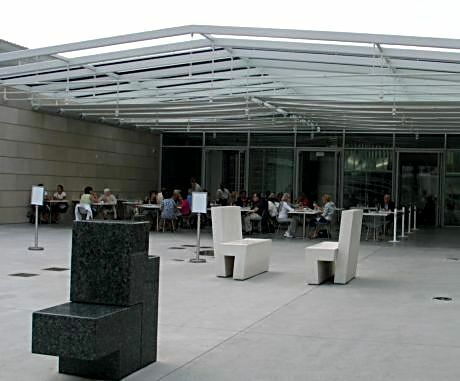 Terzo Piano on the Art Institute of Chicago Modern Wing terrace has indoor seating but when the weather allows, sit outside for a skyline view. Now, new restaurants open every week in the West Loop, South Loop and River North areas that circle downtown. Arguably, the problem is that Chicago’s vibrant dining scene means there are enough good choices to fill more than a month of lunch and dinners in and near downtown Chicago. The following is a small sample of places to try. They are reasonably-priced gems. Reservations are strongly recommended for lunch or dinner. When shopping Chicago’s “Magnificent Mile” along North Michigan Avenue from Wacker Drive to Oak Street, you can walk a couple of blocks either side of the Avenue and find excellent eateries for lunch or dinner. Two of them are Café des Architectes in the Sofitel Hotel 20 E. Chestnut St., just west of Michigan Avenue, near the Hancock Building north of the Chicago Avenue midpoint and Coco Pazzo Café at 636 N. St. Clair, east of Michigan Avenue, south of Chicago Avenue. 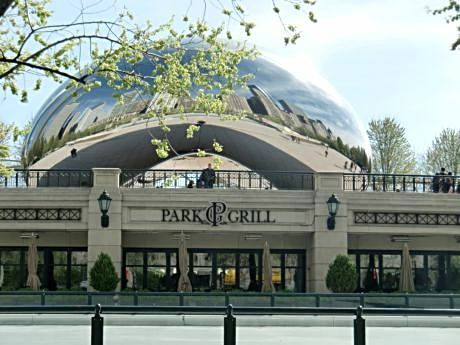 The Park Grill in Millennium Park is a rink-side seat to ice skating in winter and strollers in the park the other seasons. To get good, light ethnic foods in time for a performance at Symphony Center home of the Chicago Symphony Orchestra on Michigan Avenue near Monroe Street or a Broadway in Chicago show at the Bank America Theatre on Monroe Street near State Street, try to get a reservation at Russian Tea Time, 77 E. Adams St.
Further south and west, is 312 Chicago at 136 N. LaSalle St. It is around the corner from the Cadillac Palace on Randolph Street which also does Broadway in Chicago shows and it’s about two blocks from the famed Goodman Theatre on Dearborn Street whose “Death of a Salesman” production traveled to New York. Not everyone’s favorite restaurant is mentioned here and it’s OK to stumble on a place while walking and try it. There are so many good places, it’s hard to go wrong. So, enjoy Chicago!